filicis Dugdale, 1990 (Ctenopseustis), New Zealand J. Zool. 17: 451. TL: New Zealand, SL Bluff Hill Glory Track. Holotype: NZAC. male. fraterna Philpott, 1930 (Ctenopseustis), Rec. Auckland Inst. Mus. 1: 7. TL: New Zealand, Whangarei. Holotype: AMNZ. male. haplodryas Meyrick, 1920 (Ctenopseustis), Voyage de Ch. Alluaud et R. Jeannel en Afrique OrientaleI I Microlepidoptera : 54. TL: Kenya, west slope Mt. Kenya. Holotype: MNHN. female. herana Felder & Rogenhofer, 1875 (Tortrix), Reise st. Fregatte Novara (Zool.) "(2) 5: pl. 137, fig. 52." TL: New Zealand, Nelson. Holotype: BMNH. male. inana Butler, 1877 (Cacoecia), Proc. zool. Soc. London 1877: 403. TL: New Zealand. Canterbury. Holotype: BMNH. female. obliquana Walker, 1863 (Teras), List Specimens lepid. Insects Colln. Br. Mus 28: 302. TL: New Zealand, Auckland. Holotype: BMNH. female. charactana Meyrick, 1881 (Cacoecia), Proc. Linn. Soc. N. S. W. 6: 492. TL: New Zealand. Auckland. Holotype: BMNH. male. ropeana Felder & Rogenhofer, 1875 (Tortrix), Reise st. Fregatte Novara (Zool.) "(2) 5: pl. 137, fig. 45." TL: New Zealand. Nelson. Holotype: BMNH. female. spurcatana Walker, 1863 (Teras), List Specimens lepid. Insects Colln. Br. Mus 28: 305. TL: New Zealand. Nelson. Holotype: BMNH. male. transtrigana Walker, 1863 (Sciaphila), List Specimens lepid. Insects Colln. Br. Mus 28: 354. TL: New Zealand. Nelson. Holotype: BMNH. male. turbulentana Walker, 1863 (Sciaphila), List Specimens lepid. Insects Colln. Br. Mus 28: 355. TL: New Zealand. Nelson. Holotype: BMNH. male. 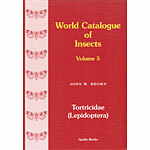 servana Walker, 1863 (Teras), List Specimens lepid. Insects Colln. Br. Mus 28: 306. TL: New Zealand, Auckland. Holotype: BMNH. male. abjectana Walker, 1866 (Teras? ), List Specimens lepid. Insects Colln. Br. Mus. 35: 1781. TL: New Zealand. Auckland. Holotype: BMNH. male. congestana Walker, 1863 (Teras), List Specimens lepid. Insects Colln. Br. Mus 28: 308. TL: New Zealand. Auckland. Holotype: BMNH. male. contractana Walker, 1866 (Teras), List Specimens lepid. Insects Colln. Br. Mus. 35: 1782. TL: New Zealand. Auckland. Holotype: BMNH. male. cuneiferana Walker, 1866 (Teras), List Specimens lepid. Insects Colln. Br. Mus. 35: 1780. TL: New Zealand. Auckland. Lectotype: BMNH. male. priscana Walker, 1863 (Teras), List Specimens lepid. Insects Colln. Br. Mus 28: 307. TL: New Zealand. Auckland. Holotype: BMNH. male.